Martha is Program Director for Chicago's Urban Initiative of Angelic Organics Learning Center. She apprenticed on a Biodynamic CSA near Ann Arbor in 1989. Since then, Martha has practiced urban farming and community building in Minneapolis, Santa Cruz, Boston, Chicago, and Guatemala. She arrived in Chicago from a masters program in land restoration, public health, and environmental justice at UW-Madison. Martha is a founding Board Member of Eco-Justice Collaborative, and served as treasurer until 2015. She is passionate about grounding self-reliant communities in and around their ecological infrastructure, and both participated in and supported the two regional Great Lakes Bioneers Chicago events organized by EJC in 2012 and 2013. This included leading a 2 1/2-hour, interactive workshop on local food that followed the World Cafe model and was designed to obtain input from professionals, teachers, and the general public that would feed into the broader conference's theme on community resilience. Martha also holds a certificate in Zen Shiatsu and lives in Woodlawn. Clinton joined EJC’s board in 2014. Throughout his carer, he has linked sociology; urban politics; and urban planning; with American culture, including contemporary literary interpretations of society. For the past 30 years, he has been involved in organizations that have an urban focus, including the former Urban Training Institute (New Orleans) (1978-1980); the Seminary Consortium for Urban Pastoral Education, or SCUPE (1981-1984); the Institute for the Church in Urban Industrial Society, where he served as Director (1986-1988); the Chicago Center for Public Ministry (1988-1992); and faculty and Director of Chicago Semester from 1992-2014. Clinton has taught urban-related courses at Trinity International University, North Park University, Loyola University of Chicago, National Louis University, and SCUPE. He teamed with Pam and Lan of Eco-Justice Collaborative to teach an intensive, experiential course on Eco-Justice and Sustainable Cities through SCUPE (2010- 2014). Clinton also has edited or written articles in ten different books, and authored nearly one hundred articles, encyclopedia entries, bibliographies, or self-published research projects on themes of urban social justice and on the city.His focus in the interface between academic study; community organizing; and advocacy for public policy, including sustainable environmental and ecological perspectives, led him to both participate and support the Great Lakes Bioneers Chicago events carried out byEJC. Stephanie is a non-profit professional who has been engaged in social change movements and progressive nonprofits for nearly 15 years. She joined Eco-Justice Collaborative's Board in 2012, but was an active supporter before then, particularly in EJC's initiatives to close Chicago's two coal-fired power plants. Stephanie also traveled to West Virginia with EJC in 2009 to experience the environmental, socio-economic, and health impacts of mountaintop removal mining on communities in coal-producing areas. Since then, she has supported EJC's initiatives in raising awareness and advocating for just polices that reduce our reliance on coal. Stephanie worked with 8th Day Center for Justice, a progressive social justice organization, from 2002 until 2014. Currently, she is living in working in Milwaukee, WI where her full-time role is with an International Health Association where she executes programs in Asia, the Middle East and Oceania. 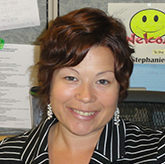 Stephanie balances her day job efforts with her endeavors as a Health and Wellness practitioner. She also spends time giving support to non profits such as EJC, and through contracted development and communications work, also with Volunteer Missionary Movement. Stephanie has a Masters in Social Justice and is a Certified Yoga Instructor. 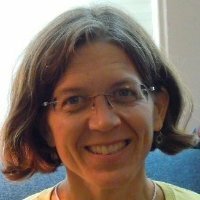 Pam is Co-Founder and Co-Director of Eco-Justice Collaborative, now based in Champaign, Illinois. While raising her family, she received her BA in Human Ecology in 1978 and her MA in Human Environment Planning in 1983 from Governors State University. From 1982 through 2008 Pam was employed by Planning Resources Inc. (PRI), an environmental and land use consulting firm founded in 1982. During that time, she served as Senior Planner and Vice-President and Director of Planning. She became an owner of the firm in 1996. While with PRI, Pam prepared and directed comprehensive land use plans, zoning ordinances, and their updates and served as community planner for several Villages in DuPage and Kane County. She also directed and carried out land use, socio-economics and historic and cultural resources for major highway and rail projects in the Midwest, including High Speed Rail from Chicago to St. Louis. As part of this work, Pam helped develop and carry out public and agency involvement programs aimed at reaching public consensus on complex or controversial proposals. In the mid-1990’s, a series of trips to Latin America helped transform Pam’s way of thinking about socio-economic and environmental crises both at home and globally. She subsequently served on the board of Jubilee Economics, a faith-based organization that contextualizes the healing and restoration of our one earth with the ancient practices of the biblical jubilee, and was founding board member of Chicago Fair Trade. In 2000, Pam and Lan decided to infuse eco-justice into their work, and began the process of transitioning both leadership and ownership of PRI. This enabled them to start Eco-Justice Collaborative, with its mission that advocates ecological sustainability and just distribution of resources. 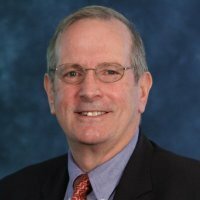 Craig Mousin has served on EJC's board since its incorporation, and served as chair from 2009 through 2015. 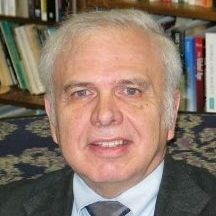 He is the University Ombudsperson at DePaul and a member of the ABA Dispute Resolution Section Ombuds Committee. Craig has a B.S. from Johns Hopkins University, a J.D. from the University of Illinois, Urbana-Champaign, and a M. Div. from Chicago Theological Seminary, where he now serves as a Life Trustee. Craig has taught in DePaul’s School for New Learning, the Religious Studies Department, and the Peace, Justice and Conflict Studies program. Craig was ordained by the United Church of Christ, and now serves as an Associate Pastor at Wellington Avenue United Church of Christ. Craig is a strong advocate for immigrant rights. In 1984, he founded and directed the Midwest Immigrant Rights Center, a provider of legal assistance to refugees. That organization has since become the National Immigrant Justice Center, and Craig now serves as a member of the Leadership Council. 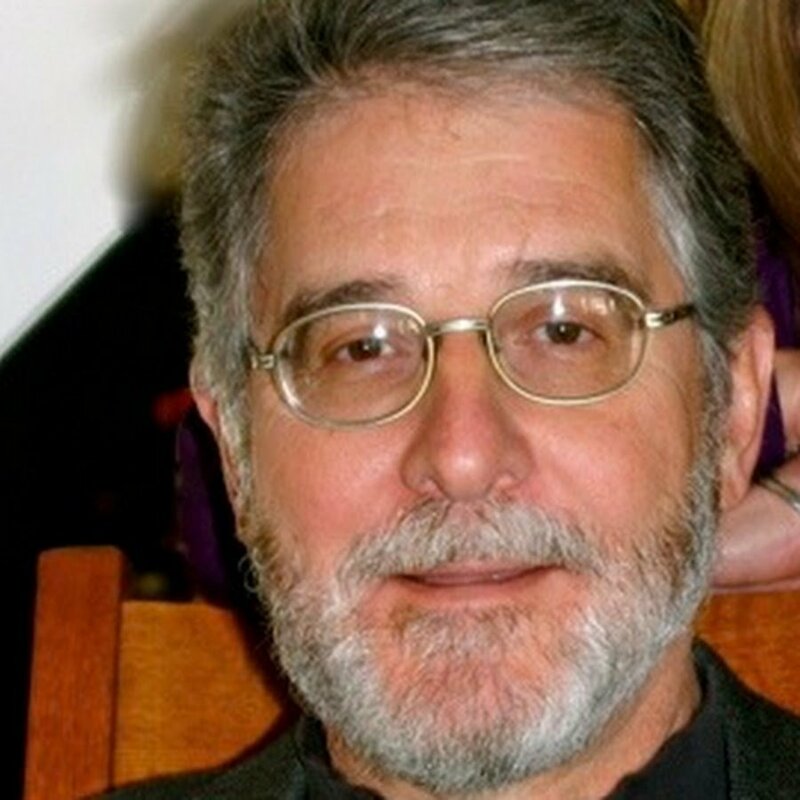 He is a former President and Board member of the Immigration Project of downstate Illinois, and currently serves as a member of the Leadership Council of the Marjorie Kovler Center for Survivors of Torture. Lan is a Co-Founder and Co-Director of Eco-Justice Collaborative. An ecologist by training, he received a BS in Zoology in 1971 and an MS in Biology in 1976 from the University of Illinois in Champaign-Urbana. From 1972 through 1976 he worked as a research assistant in the Aquatic Biology Section of the Illinois Natural History Survey, conducting field studies of aquatic invertebrates and water quality within Illinois lakes and streams. In 1977 he moved to Chicago where he joined the Planning Department of DeLeuw Cather and Company, an international engineering firm specializing in the design of public infrastructure (now Parsons Corporation). There he served as a project manager, directing environmental impact analyses and the preparation of environmental documentation under the National Environmental Policy Act. In 1983 he joined Planning Resources Inc. where in conjunction with his wife Pam and a senior partner, he helped establish the firm as one of Chicago’s leading planning, environmental and landscape architectural firms. Serving as vice president and then president of PRI, he had responsibility for business development and operations for the 18-person firm and directed the environmental department in technical studies related to preparation of environmental impact assessment, natural resource protection and impact mitigation design. Lan combines his passion for the natural environment with a strong sense of social justice honed through experiences in Latin America. In 2000 he participated in the first of several delegations to Chiapas Mexico; trips that began to shape his understanding of the immense impact that U.S. global economic interests had on the people and resources of the world. In 2001 he traveled as part of a fact-finding delegation to remote parts of Colombia, where he met with poor and indigenous communities who had been displaced by the exploitive practices of international development. Before the establishment of Eco-Justice Collaborative he served on the board of the International Service for Peace (SiPaz) from 2001 through 2007. These experiences helped influence the mission of Eco-Justice Collaborative through an understanding that to bring about a healthy world, today’s environmental challenges must be addressed in concert with the on-going struggles for social and economic justice.